One of tennis’ most endearing qualities is that it can be played throughout a person’s lifetime. Beyond simply playing recreationally, you can continue to compete in high-level—even prize money—tournaments into your adulthood. Take for example, Dmytro Kovalevych. A coach at Christopher Morley Tennis for the last four years, Kovalevych still regularly plays—and wins—tournaments in the Eastern section. While he is a few years removed from his college playing days, Kovalevych has not yet hung up his racket for good. Kovalevych is a native of Ukraine where he began to play tennis at the age of seven, but he didn’t get his start in the sport like most other players. His parents, who were artists, were tasked with creating the prizes for a local tennis tournament, and when the tournament was unable to pay for the work, they offered to provide Dmytro with free tennis lessons. Kovalevych rose up the ranks as a junior to become one of Ukraine’s top young tennis players, but as he approached his college years, Kovalevych had a decision to make. He wanted to continue playing tennis but his options were limited in Ukraine. He received interest from colleges in the United States including Princeton, but was only offered one Division I full scholarship, and that was to South Carolina State. It was a bit of a culture shock for Kovalevych who was deposited into the Historically Black University after coming from Ukraine where, as he says, “there are no black people.” But while he struggled a bit socially, adjusting to a new culture and a new language, that didn’t matter to Kovalevych, as he was just happy to still be playing tennis at a high level. 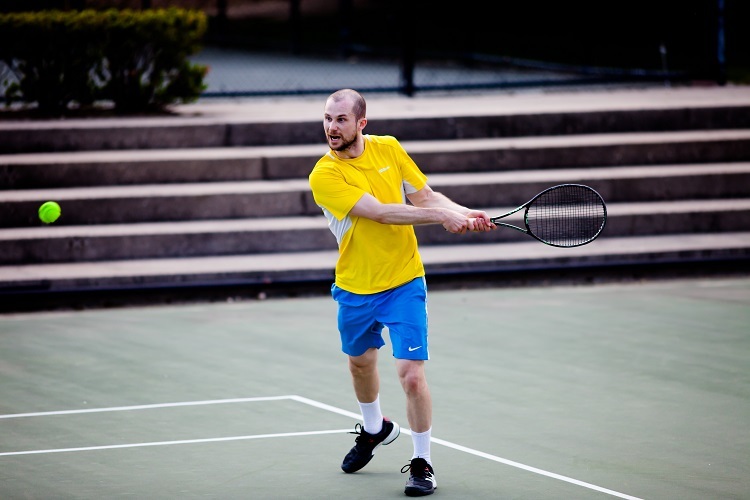 After his collegiate career, Kovalevych began his tenure at Christopher Morley Tennis. He was first introduced to the program after working at a summer camp in New York while he was still in college, and soon after he graduated he was offered a job. 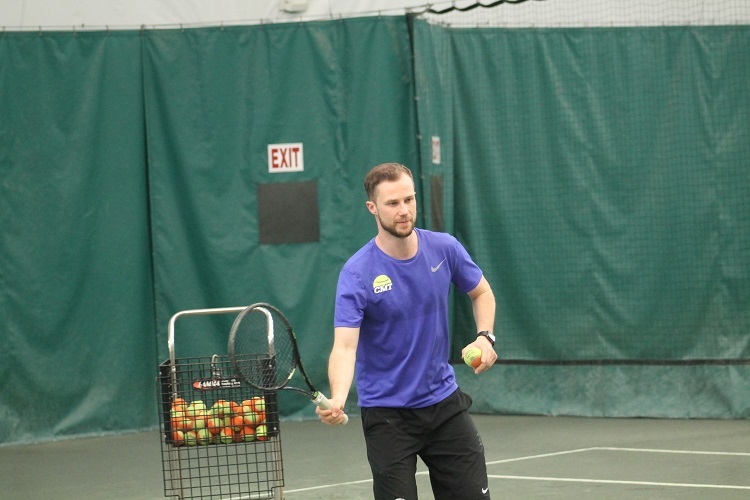 Kovalevych is now one of the top coaches at the facility, and runs much of the 10&Under programming and classes, while also serving as a member of the coaching staff for top players including Cannon Kingsley and Spencer Brachmann. While Kovalevych is a full-time coach, he has not relinquished his grip on his playing career as he still competes, and wins, in many high-level tournaments. 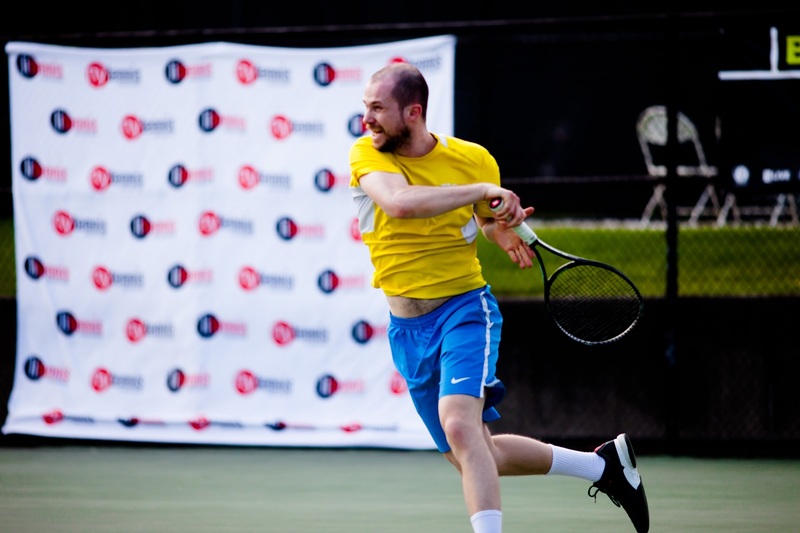 A couple of years ago he won a Bronze Ball at the USTA National Men's Open, Women's Open, Mixed Open Indoor Championships at the Billie Jean King National Tennis Center. Just this year alone, he has won two prize money tournaments at Sportime Randall’s Island, and most recently captured the title at the Hampshire Hills Men’s Open in Milford, New Hampshire. His continued success as a tennis player earned him the award of Men’s Open Player of the Year at the USTA Long Island Awards Ceremony earlier this summer. He is straddling the line between player and coach, which is exactly what he wants to be doing currently, and continue to do so in the near future.